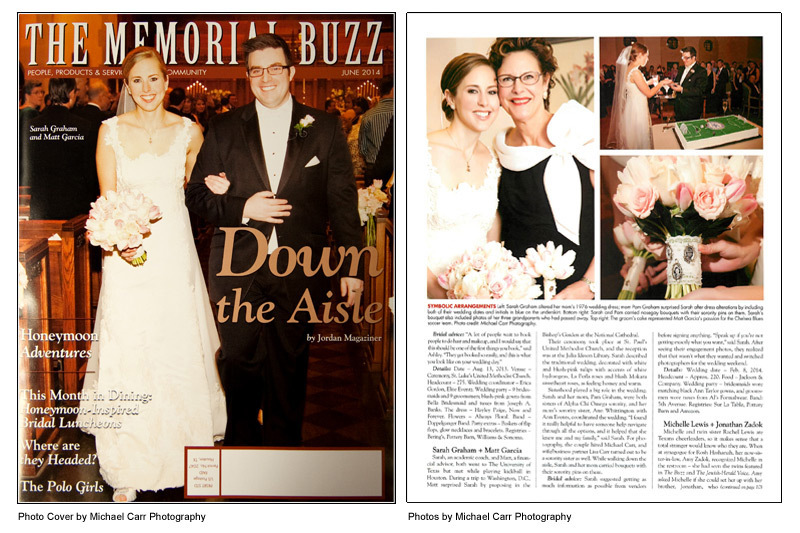 Houston wedding photographer, Michael Carr, photographed a wedding that was recently featured in The Memorial Buzz magazine. We are excited that Sarah & Matt’s wedding day image is gracing the front cover, and an editorial is written about her wedding. The cover and article are shown here in the images. Michael Carr Photography is a full service portrait studio centrally located. To learn more about our wedding and portrait services, please visit:www.michaelcarrphotography.com or call the studio at 713-461-2862.